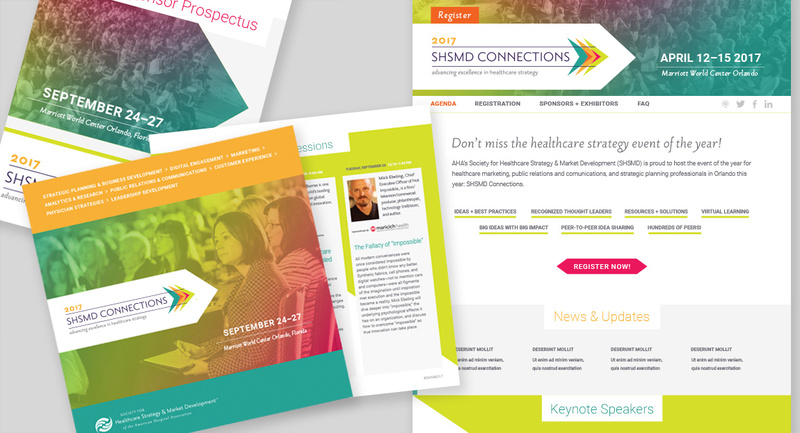 We had the pleasure once again of creating the brand identity for SHSMD Connections, the premier conference for healthcare marketing, public relations and communications, and strategic planning professional, hosted by the Society for Healthcare Strategy and Market Development. 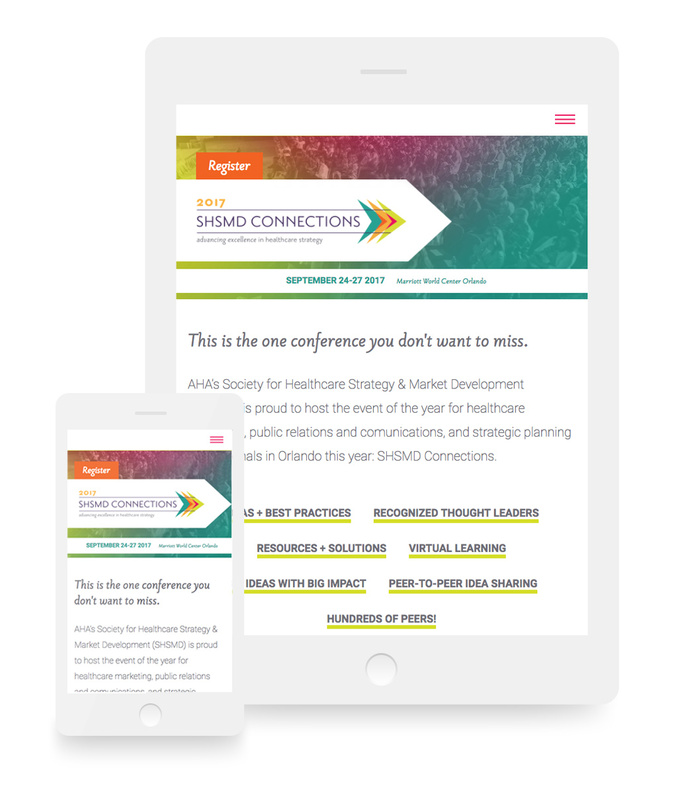 We designed the identity to reflect SHSMD Connections’ focus on the future-centric advancement of healthcare, as well as to give a nod to the meeting’s Orlando setting by bringing in bright, sunny colors. Our involvement in the project includes design of the brand identity, Exhibitor and Sponsor Prospectus, Program Book, Onsite Guide, and website. 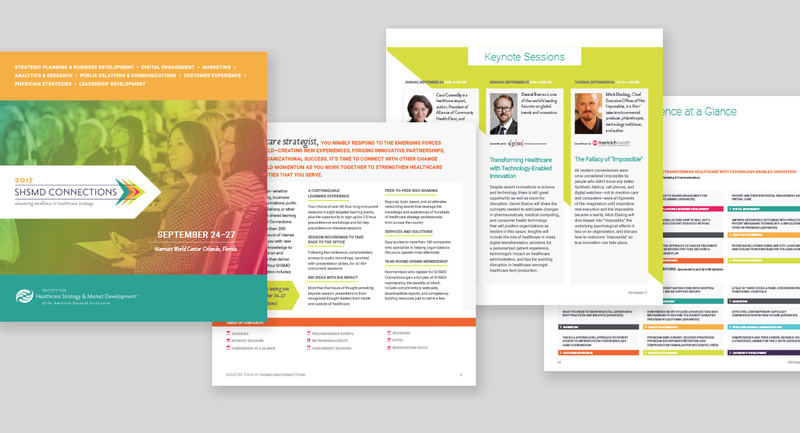 We started fresh with the conference website, creating a bright, clean, responsive environment that serves as an informational hub for conference attendees, sponsors, and exhibitors. 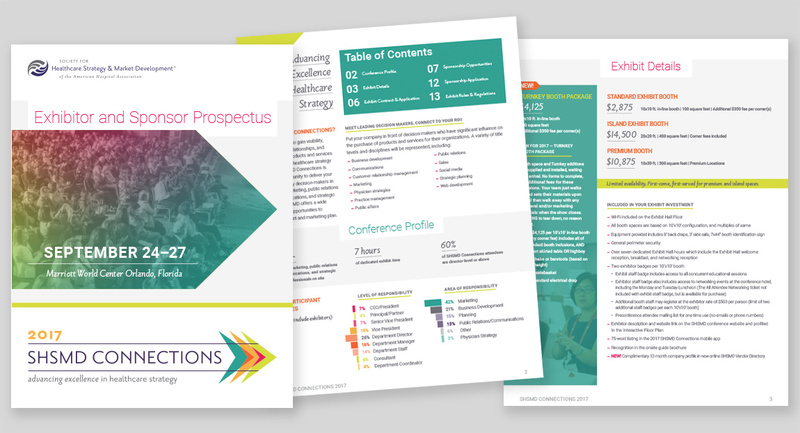 In order to organize the content to make it super intuitive and clear, we combed through analytics and content from past meetings, then reorganized and categorized the conference information to create linear paths for visitors. This project is currently in development.